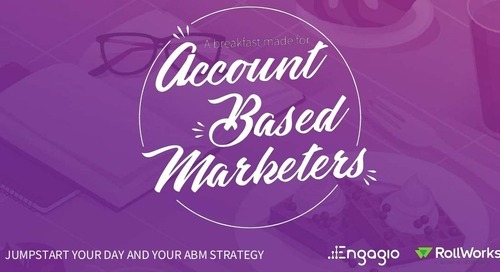 You’ve heard the hype — Account Based Marketing (ABM) is rapidly becoming the next big thing in B2B marketing. 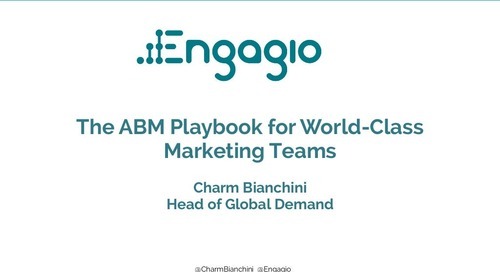 Now it’s time to move beyond the hype to learn HOW innovators are practicing ABM as well as WHAT works, and doesn’t. In this presentation, Jon reveals live examples of how Engagio uses proven ABM techniques to quickly go from 0 to 36+% of pipeline and increase account engagement by 4X.